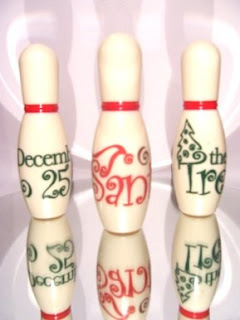 Christmas Bowling??? I hear ya, not your typical holiday activity. A few years ago when my family started this tradition it felt really strange to go bowling on Christmas Eve, particularly since it is such a busy day for moms and dads. Now, it's one of our favorite family traditions. It gives us a chance to slow the day down, not worry about any to-do list and allows the kids an opportunity to get out some of their Christmas jitters and just have a great time. My kids look forward to this activity every Christmas Eve. Try it...you may find yourself (and your kids) relaxed (gasp!) on one of the busiest days of the year.